Rafael is a contributing writer at Complex Sports. The NLCS has been a close affair centered around some great pitching. Dodgers pitcher Hyun-Jin Ryu put together a dominant performance shutting out the Cardinals in seven innings. The Cardinals now lead the series over the Dodgers 2-1 in the NLCS, and should be a very entertaining series from here on out. Monday Night Football also was featured on the Monday night schedule. 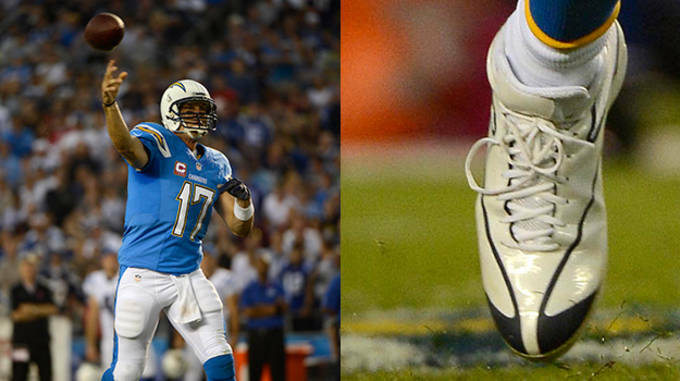 The San Diego Chargers defeated the Indianapolis Colts behind a solid performance from quarterback Philip Rivers. The Chargers have been the Jekyll and Hyde of the FL with disappointing losses to the Houston Texans and Oakland Raiders, but impressive wins against the Cowboys and the Colts. These are The Shoes That Won Last Night. 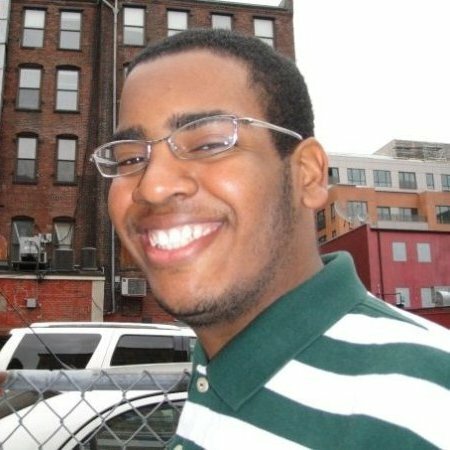 Rafael Canton is a freelance writer from Queens, NY and contributor to Sneaker Report. Anytime there is a conversation about the NBA, music, or nutella, he can be found in the thick of the discussion. He can be found on Twitter @RafelitoC7. 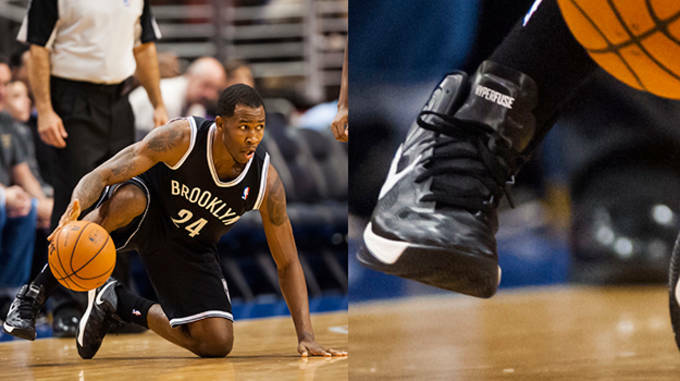 Don&apos;t expect Chris Johnson to be making the Brooklyn Nets team. The Nets nearly have all their roster spots filled up, so Johnson probably will be looking for work so why not audition your skills during the NBA Preseason? Johnson was sharp from long range shooting 5-for-7 from the arc and filling up the stat sheet with 21 points, 5 rebounds, and 2 assists in the Nets blowout of the Philadelphia 76ers. The game was a laugher, but Johnson continuing his career is no laughing matter. In the MLB playoffs, you need a good start to get some positive vibes and confidence going. Gonzo had an RBI double in the bottom of the fourth inning helping the Dodgers strike first. 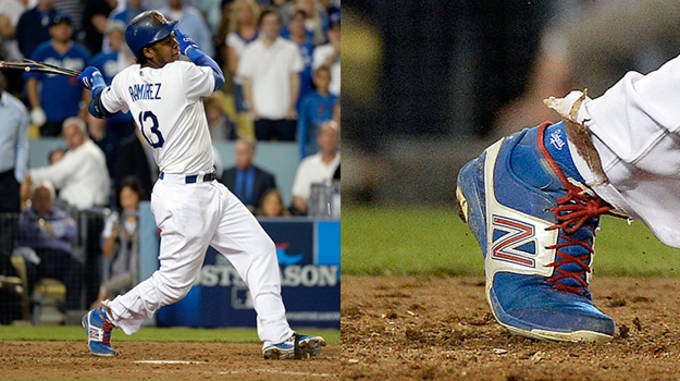 He then scored on Yasiel Puig&apos;s RBI triple giving the Dodgers a 2-0 lead in the bottom of the fourth. Expect Gonzalez to keep the good times rolling with his consistent presence and performance. The Orlando Magic are bound to be one of the worst teams in the NBA, but they have a quietly developing rookie in Victor Oladipo. 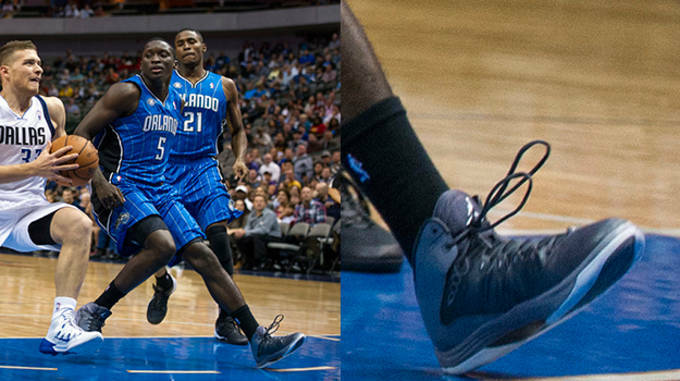 The Indiana University product was all over the court for the Orlando Magic. In the Magic&apos;s 102-94 victory over the Dallas Mavericks, Oladipo had 12 points, 11 rebounds, 4 assists, and 2 steals in 26 minutes. This solid two-way player can really help the Orlando Magic improve on last year&apos;s sad excuse for a season. 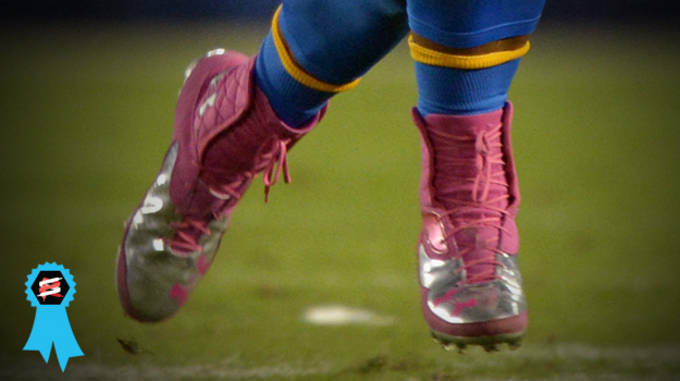 Questions have run rampant over the past few seasons about whether Philip Rivers can deliver. Have his best days passed him by? We don&apos;t know, but he made a case for the opposite with his solid performance in the Chargers&apos; 19-9 victory over the Indianapolis Colts. Rivers went 22-for-33 with 237 passing yards and 1 touchdown pass in the win. The Chargers are now 3-3 giving them a chance to still compete for a Playoff spot, but Rivers is going to have to keep performing like this consistently to keep the Chargers in the race. 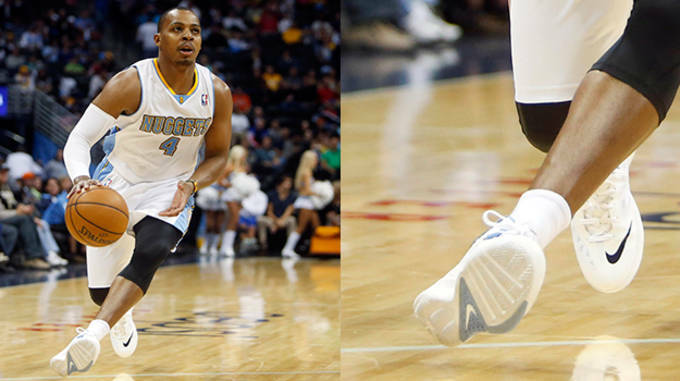 He might have his organs all in the wrong place, but Randy Foye can shoot the lights out of the ball in his Nike Zoom Hyperfuse 2013&apos;s. Foye was seventh in the NBA in three-pointers made last year making 178 threes through 82 games. In the Nuggets&apos; 98-94 Preseason victory over the San Antonio Spurs, Foye scored 15 points while knocking down three three-pointers. Foye should be a solid long distance option for a Denver team that struggled to find efficient shooting last season. 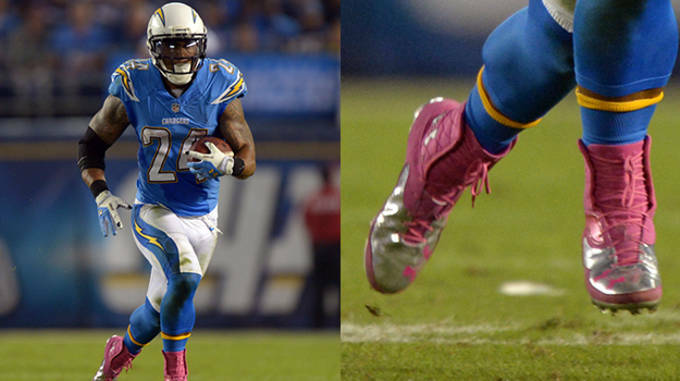 The Under Armour Highlight MC had a positive influence on Ryan Mathews last night for the San Diego Chargers. Mathews had 102 rushing yards on 22 carries during the Chargers&apos; 19-9 victory over the Indianapolis Colts. Mathews was breaking multiple tackles and was able to find that burst of speed and find the openings in the defense to spring some solid runs including a 15-yard run. 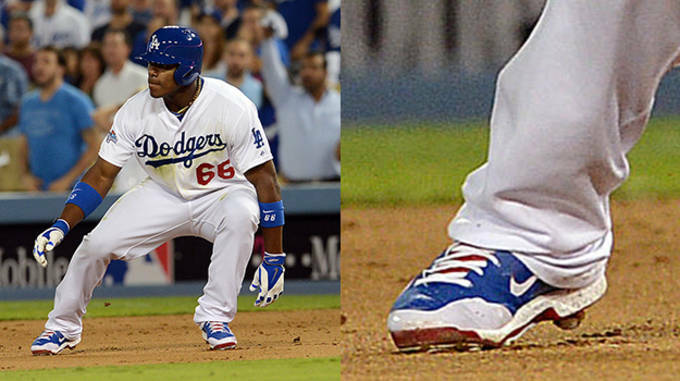 Yasiel Puig always leaves his heart out on the field. The exciting and ebullient Puig re-energized himself in Los Angeles as he had two hits including an incredible RBI triple in the fourth inning. When Puig hit the ball, he thought it was a home run and looked to break out a trot, but once he realized that the ball stayed inside the park, Puig turned on the jets and still found a way to motor to third on the hit. 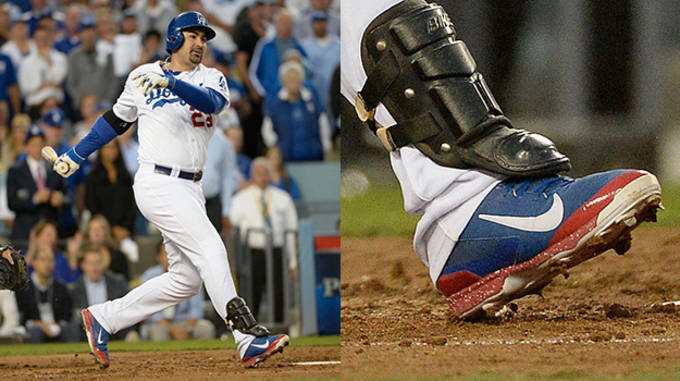 All in all, Puig had two hits and the Dodgers won 3-0 to close in on the Cardinals in the NLCS. 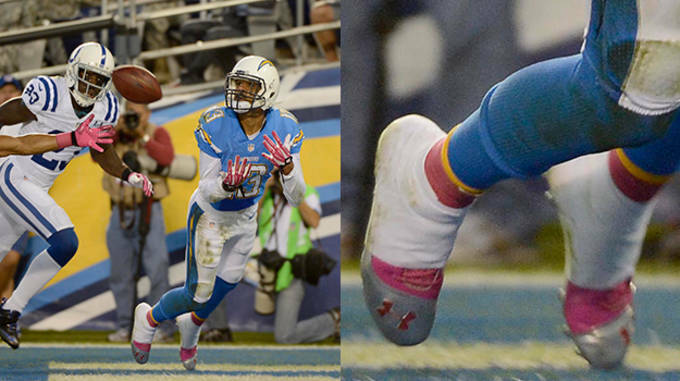 The emergence of Keenan Allen has been a special thing to watch during the season. The rookie wide receiver has become a top target for quarterback Philip Rivers. Allen had 107 yards receiving and one touchdown in the Chargers&apos; 19-9 victory over the Colts. He&apos;s starting a trend as he had another 100 yard receiving game last week when he had 115 yards receiving in the Chargers loss last week. After being targeted just once three weeks ago, Allen has followed that up with targets of 6, 9, and finally 12 last week. Pitching is an absolutely necessary part of the MLB playoffs. To truly be a contender, you have to have some shutdown and knockout pitching. 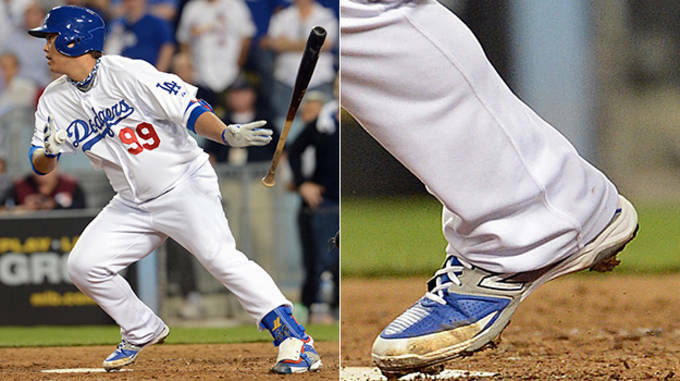 Hyun-Jin Ryu proved that with his great performance in Game Three of the NLCS. Ryu outpitched Cardinals Ace Adam Wainwright with seven innings of three-hit ball to lead the Los Angeles Dodgers to a Game Three victory in the NLCS over the St. Louis Cardinals. The Cardinals now have a 2-1 lead in the NCLS series after the Dodgers win. Injuries keep the average players down, but for players like Hanley Ramirez, it&apos;s simply just an obstacle. The Dodgers star player was able to tough out a fractured rib and was able to contribute to the Dodgers&apos; cause. Ramirez reached on an infield single in the bottom of the eight inning accruing an RBI for his cause. His hit gave the Dodgers a 3-0 lead and put them in prime position to finish up the Game Three victory over the St. Louis Cardinals in the NLCS.